Concentrating on engine components covering both Duratec and EcoBoost, the majority of which have been designed and engineered by the Racing team, the new mountune Racing website goes live today, dedicated to the sale and support of our high-end race engine components. New products will be added frequently, and the website blog will also be updated with all the latest mountune-powered news from all our championships across the globe. For the 2016 season, the China Touring Car Championship saw various changes to the series format, including a new 2x 35km Race configuration, and mountune powered Changan Ford FRD Team also made some alterations to their championship campaign this year. Completing in the Super Cup 2.0T class, progressing from the 1.6 category in 2015, the team signed British Driver Dan Wells who made history in 2016 as the first non-Chinese driver to race in the CTCC, competing in four of the eight meetings across the season, the maximum permitted for an international driver. The Formula Racing Development owned manufacturers team saw great success this season with multiple pole positions, various individual podiums and several 1-2-3 finishes, and had done enough to take the 2016 Manufacturer's Title this weekend, before the final race in Shanghai Tianma circuit had even begun. Our mountune designed and built turbocharged EcoBoost engine powered all four of the Ford Focus 2.0T hatchbacks, upgraded from the saloon model of 2015, and contributed to the strong package that produced this winning results, that is car, team and driver. Congratulations to the Changan Ford Racing team from all of us at mountune! Olsbergs MSE driver Kevin Eriksson took the Germany RX win this month in his mountune powered Ford Fiesta ST, claiming his first every victory in the FIA World Rallycross Championship. Starting on the second row of the grid in the 2016 final, Eriksson stunned his competitors as he pulled off an epic sideways move from the outside and managed to take the lead, which he retained for the rest of the race. 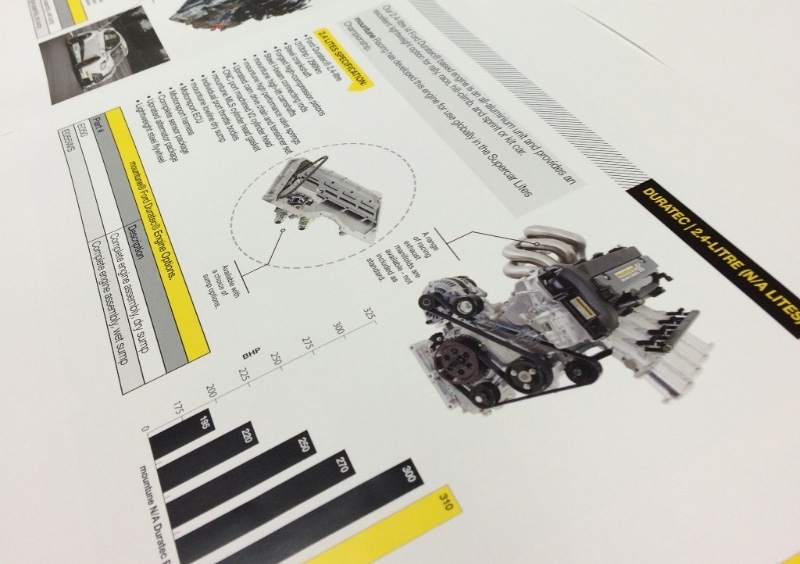 The Ford-based Duratec 4-cylinder turbo engines, designed and built by mountune utilising an Olsbergs MSE head casting, are constantly undergoing vigorous programs of testing and development to further improve the engines performance output and reliability, and have powered the Olsbergs drivers to the podium on numerous occasions claiming four manufacturers and drivers' championship titles between 2011-2014. This weekends BTCC round at Snetterton didn't disappoint with non stop action and several podium wins for the mountune powered teams. Race 1 of the day saw Turkington cross the line first after the Silverline Subaru BMR driver battled his way through in lap eight. The top step podium makes Turkington the first three-time race winner of 2016, following his Race 1 wins at Croft and Oulton Park earlier this season. Jackson, challenging his way from fifth on the grid, took a third place finish in Race 1 in the Motorbase Performance Ford Focus, claiming a podium on the team’s 300th BTCC race. Jackson made his mark securing victory in a thrilling Race 2, twice muscling past pole man turkington off the grid, after a red flag before the end of lap one meant a restart. The first place finish took Jackson to a total of two wins this season, with Turkington again taking a podium step in Race 2, this time in 2nd place. We're looking forward to seeing the guys in action again in Rounds 19,20 & 21 at Knockhill on August 13/14th. We’re used to turning engines round quickly at mountune Racing - motorsport’s notorious for tight deadlines after all, but hearing the plight of rally-ace Louise Cook, we knew we’d have our work cut out on this one! Alarmingly, 3.2mm of end float was about 3mm too much, suggesting there was going to be a bit of a mess waiting for us in the bottom end… oh, and this was Thursday, so we literally had a day to identify what had failed, what had caused it and, to give Louise something back she could still make the rally with… nothing like a deadline to focus the mind. Louise is competing in an R2 Fiesta which uses a 1.6-litre Sigma Ti-VCT, fitted with the homologated upgrades from MSport, comprising largely of steel rods, forged pistons and wilder camshafts. On arrival Thursday night, the sump was removed from Louise’s engine and as expected, the thrust washer had disintegrated with a section of the crankshaft effectively acting as a bearing – the result? A swarf-filled mess. As luck would have it, we had a brand new standard Sigma engine sat in our stores so a plan was hatched overnight to retain the head from the original engine and rebuild the rest into the new bottom end. Friday began in a bit of a blur as two of our highly-skilled engine builders stripped the original engine, cleaned all the carryover components through a multi-stage cleaning process and then with everything prepared, the rebuild could begin. After realising her dream to get to WRC Finland was still well and truly alive, we were promptly joined by a beaming Louise and Stefan (her co-driver), armed with a transit van and an obvious sense of urgency. The guys spent the weekend getting the engine fitted back in the car together with a host of other new transmission parts (collected in person as far afield as Belgium), which left them with just a day to fire it back up and run it in before heading to Finland. We’re pleased to say they made it after putting in numerous all-nighters and at the time of writing this, Louise and Stefan are about to return to professional rallying for the first time since winning her class in 2012! 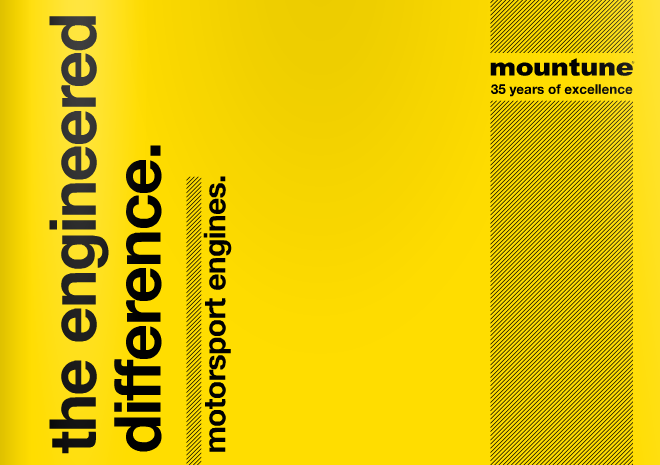 Good luck from all of us at mountune. mountune – keeping dreams alive, since 1980.
mountune powered Andy Yan won his first Super Cup 2.0T race at the Nanjing Wantrack Circuit this weekend, with his team-mates Martin Cao, Rainey He and Dan Wells taking 2nd, 3rd and 4th positions. The first two laps of this race were led by the safety car due to the rainy conditions before the UK's Dan Wells, who started the race in pole position, was passed by his three Chinese team-mates with Rainey He having a brief clash with Martin Cao on lap eight and falling to fourth, but he recovered to third in the latter part of the race. The four Focus ST's run 2-Litre EcoBoost engines, designed and developed by mountune for the Changan Ford FRD Teams' 2016 Chinese Touring Car Championship. Tomorrow sees the first round of the 2016 Global Rallycross championship kick off at the Wild Horse Pass Motorsports Park in Phoenix, Arizona. Our 2.4-litre Ford Duratec® based engine will again be used to power the complete grid of Supercar Lites in this years championship. The naturally aspirated all-aluminium unit also provides an excellent lightweight option for rally, race, hill-climb, and sprint or kit car. There will also be a number of mountune powered Supercars on the grid this year, including SH Rallycross' Ford Fiesta ST running a turbo charged, 4-cylinder 2.0 Duratec engine. We look forward to seeing the cars and drivers in action in this years championship.